We’re pleased to announce that Performance Information Technologies has renewed its status as a Wonderware Cerfified System Integrator Partner for the latest Wonderware System Platform 2014 software (Application Server, Historian and InTouch). After installing Wonderware Application Server, configure your antivirus software to prevent archive files from being scanned. · Ensure that subfolders of the listed directories are also excluded. Here’s a tool that makes it easier to keep SCADA systems up to date in terms of Windows Updates: WSUS Offline Update at http://download.wsusoffline.net/. ViewAffinityService designed to load-balance InTouch View client sessions running on a Terminal Server. The utilities can be downloaded from WDN website. wwAffinityService designed for both InTouch View and Application Server’s AppEngine (both, regular AppEngine and ViewEngine) running on either a Terminal Server or a workstation. The utility can be downloaded using this link. 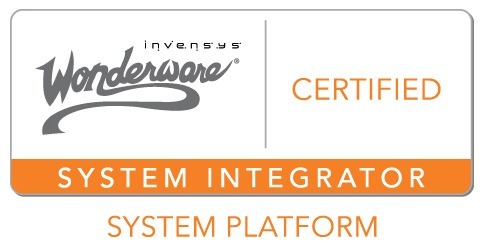 We’re pleased to announce Performance Information Technologies has been granted the status of Wonderware Certified System Integrator for Wonderware System Platform. We feel honored to be a member of an elite group of only 4 Wonderware Certified System Integrators in Washington state. Wonderware published the “ArchestrA Object Toolkit Object Migration Guide”. The goal of this article is to help users of the ArchestrA Object Toolkit understand the minimum requirements needed to easily and quickly handle Object migration in Application Server. The Guide can be found on Wonderware Developer Network Website. The Values and Data Type found after the procedure can be used in your C# code implementation. Using this Tech Note as a guide, you can also find Values and DataTypes for other properties. Here’s a sample dashboard created using Wonderware Intelligence software. This is where using Wonderware Intelligence software we can create data repository that combines and correlates information from all the data sources listed above. These connectors allow the Intelligence Server to import data on regular basis from the production system and put it in the Intelligence own data store (this way when run the reports we don’t tax the production system and data retrieval is much faster as the data is pre-aggregated). Shown here is a sample screenshot of Wonderware Intelligence data model in the ArchestrA IDE (Integrated Development Environment) used by Wonderware System Platform. After all these data sources, dimensions and measures have been defined, users can connect to them using Wonderware Intelligence Analytics Client – very easy to use and very powerful software that can be used directly by people who need the reports. In the Intelligence Analytics Client environment, the user is presented a very intuitive data model that consists of dimensions and measures (as shown here). No need to know Transact SQL programming language, no need to get access to the production system, no need to know how to calculate daily total based on 1-minute data etc. The user is presented with a list of dimensions and measure and all we need to do is drag appropriate parameters to the worksheet. We can add filters, change sorting, change colors and much more, all using point and click user interface. What’s important is that the report users can create reports for themselves without waiting for their IT departments. They can save the reports locally in a way similar to saving Excel files and they can share them with other users. The user can create multiple worksheets and then lay them out on a dashboard. Finally the dashboard can be published to the Intelligence Dashboard Server – just like the dashboard with which we started this posting. Sales and Margin Contribution (upper left chart) – this report shows sales distribution per customer and per product expressed as a square – the bigger the square size is, the greater the sales volume is. On top of that, the color of the square represents our margin – red means low margin, green means good margin. How easy is it to figure out that we’re having a bit of a margin issue with products COO250 and COO378 – for some reason our margin on them is lower than on other products. Equipment Efficiency (upper right chart) – this report shows efficiency for each machine in the system. So it looks like Coffee Line has much lower efficiency comparing to any other line. Production Schedule Attainment (lower left chart) – this report shows how each shift attains their given production schedule. Well, it looks like the night shift may not be pulling its weight as much as it should. Energy Deviation (lower right chart) – this report show the difference between expected energy usage and the actual energy usage. most configuration steps can be performed without advanced programming knowledge. Performance Information Technologies provides consulting services related to reporting, plant & business intelligence and technology integration solutions for your plant or process. Contact us at greg.dubiel@perfinfo.com or (425) 440-0626. Wonderware released Tech Note 726 “Capturing a Memory Dump File Using the Microsoft® Debug Diagnostic Tool (32bit)”. This Tech Note details how to use the Debug Diagnostic Tool (DebugDiag) for troubleshooting issues such as hangs, slow performance, memory leaks or fragmentation, and crashes in any user-mode process. The tool includes additional debugging scripts for Internet Information Services (IIS) applications, web data access components, COM+ and related Microsoft technologies. As I informed earlier, Wonderware PacWest hosted a free webinar on the Wonderware Intelligence software on May 25th, 2010. Here’s a brief description of Wonderware Intelligence software. I had a pleasure of being a presenter and a guest speaker during this webinar. For those customers of Wonderware PacWest who missed the presentation, it was recorded and is now available for download on the Wonderware PacWest website at http://www.pacwest.wonderware.com/web/Training/OnlineSeminars.aspx#Intelligence. Free Wonderware PacWest website login account is required to download the seminar (newly registered users – please allow 1 business day before attempting to download the seminar as your registration needs to be verified).